Introducing the UH Alumni Association App! 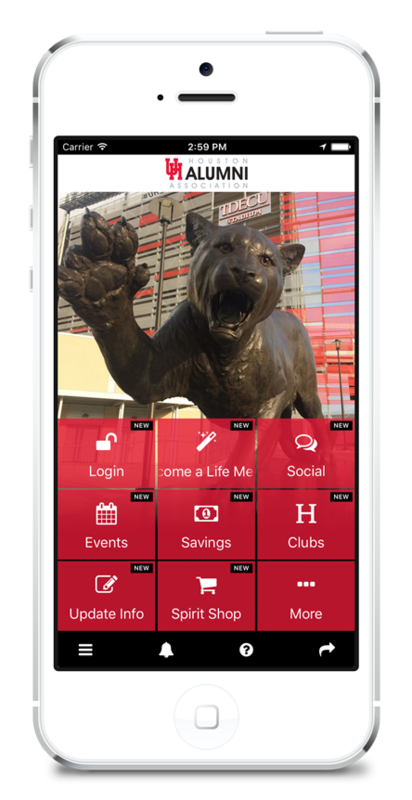 The new UH Alumni Association app brings the Powerhouse to your smart phone! The app is here to help enhance your UH alumni experience. Download the app today from the links below or search “UH alumni association” from the app store on your phone. This is a perfect way to stay up-to-date with UHAA events, regional and local alumni associations and discounts in your area!